You know what? I enjoyed reading this play in school far more than I initially thought. 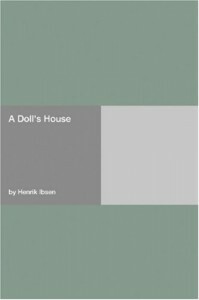 I find it impossible not to appreciate Ibsen's work for its sheer historical importance. GROUND-BREAKING ideas I tell you! I am yet to come to terms with how I feel about the characters but I'm certain in my liking of the play. I'd go as far as to say it's my favourite play I've ever read.